This video, produced by MADDrawProductions, provides an introduction to the flipped classroom model. The following list of software is by no means comprehensive, but these technology solutions are commonly used in many flipped classrooms. They should allow you to accomplish almost everything you need to starting flipping your class. A favorite among flippers is screencast-o-matic.com because it is free, easy, and doesn’t require any downloads. All you need is a microphone and you are ready to start. ExplainEverything is a tablet app that allows you to record voice overs on an interactive whiteboard. PlayPosit lets you add interactive quizzes directly in to your videos to help ensure that students are watching them and retaining the information. One of the easiest ways to get your videos out to students is by creating your own YouTube channel and uploading your videos to it. That way, all you have to do is share the link with students and they can access what they need on almost any device. Furthermore, if you are using screencast-o-matic, you have the option of directly uploading your newly created screencasts to YouTube. The videos below demonstrate how to register a new YouTube account and create a YouTube channel. 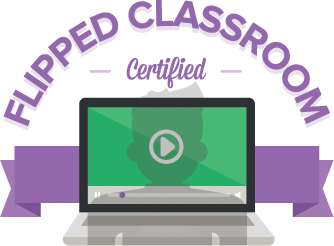 Sophia Learning offers a free online certification program which encourages instructors to “put the pencils down” and transform your classroom environment with our Flipped Classroom Certification. Give students instant feedback, create more time for interactive learning and improve achievement levels by flipping your classroom with our simple process. Once you’ve finished the program, you’ll get an official certification certificate, a cool Sophia t-shirt — and the knowledge that you’re taking your teaching game to a whole new level.